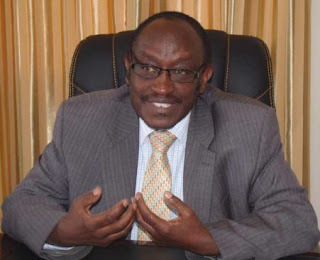 GECK Bishop Raha Muthoni who was last week accused engaging in an adulterous relationship with Nyandarua Governor Daniel Waithaka has come out to deny the allegations saying nothing could be further from the truth. Rahab who has been silent over the issue for the past one week, came out and made a statement over the same saying that “The reports are just lies and this never happened. We had come out of a church meeting and had a prayer. “I am being implicated for reasons that I do not know. I am a Bishop and have never ever cohabited with the Governor as it is being alleged,” she added. Last week local residents stormed Bishop Rahab's house after an area journalist claimed that the two have been having an affair and that the governor was at the time sleeping in her house. When reached for comments, Governonr Waithaka said that nothing happened between them and that it was a political agenda from his competitors who want him out of the seat.